Many years ago I was in Palm Springs . Very very dry hot desert place . But as you walked along the sidewalks it was cool . The coolness was created by an extremely fine spray of cold water which descended from overhead plastic pipes . It ran the full length of the main street and the spray was so fine that you never got wet from it . It cooled you but it evaporated at the same time . Is anyone aware of this system and whether it is in Thailand ? I'm thinking how you can have a nice open but shaded outside area for Reading or computer ( or Dominoes ) and have it cooled in this way . Fans are fine ..... but they just move the air and sometimes to no great cooling effect . Evaporation aircons sold everywhere, big, small and in between. Work well in the dry season, but during the high humidity times useless, just turn the area into a sauna. Those sprayers are commonplace in bkk. Evaporative air conditioning is a totally different thing, of course. Had this kind of sprayers installed when my house was new. Worked for a few weeks, until the iron in the well water bunged up the nozzles. Had it all taken down. Now that I'm on city water, thought about putting it in again. Plenty of outdoor restaurants around here have this system which works well. If you are at one of those places and you ever see a brand sticker on the system somewhere please put the name here . Hi pressure Car cleaner 7,000b then 20 to 30 mist sprays nozzle connected by stainless steel tube. the car cleaner 7,000b it runs every day for the last 6 month. If you would like more information PM me & I will send you cost & supplier name. I don't use this unit for cooling but it would be a great idea. 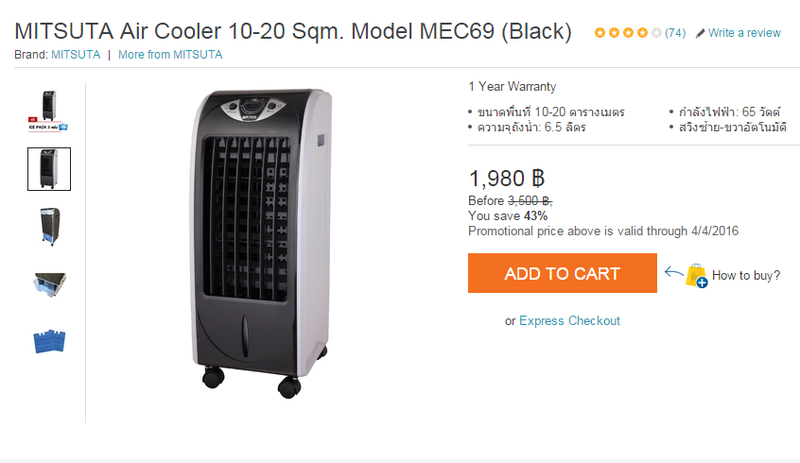 Fogging Fans offer active cooling and are positioned directly at the intended cooling area. Fogging Fans provide enhanced performance compared to fogging lines as the high velocity air increases the evaporation, which in turn improves the cooling effect. 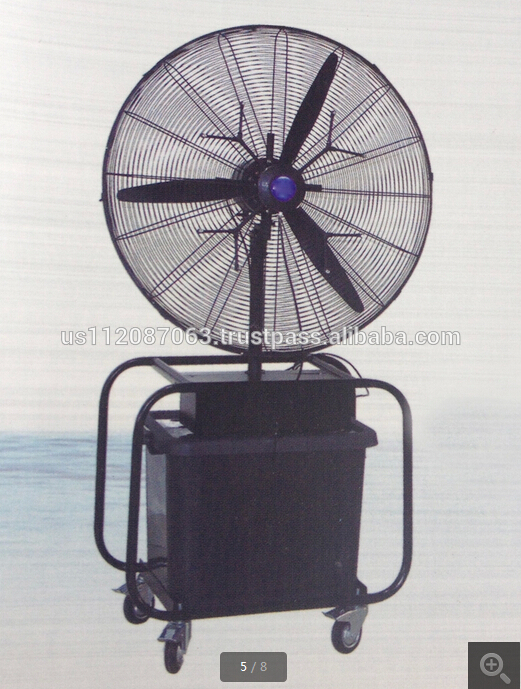 Fogging Fans can be mounted on walls or on, columns, they can also be in the form of mobile pedestal units. No brand name. What I'm referring to is put in by the same people who put in irrigation systems, fountains, and the such. Find them at your local farmer supply or garden market. Indoor and outdoor models are sold in every HomePro, Big Home, etc. 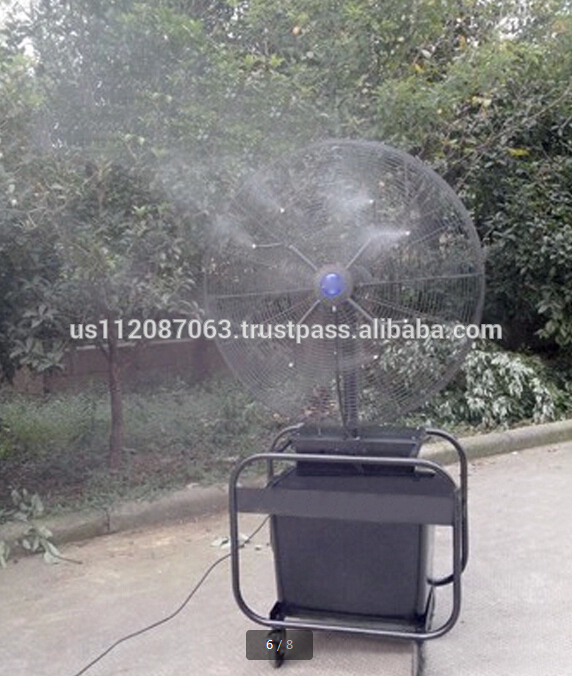 Anything from 5k to 25k plus for an outdoor spray fan. Well ..... who do I thank first ? How about a general thanks . Baldrick's looks a bit fierce but then again so does baldrick so that's acceptable . Some great info here . Not sure I can handle Ratchaburi's technicals - but much gratitudes to you folks. 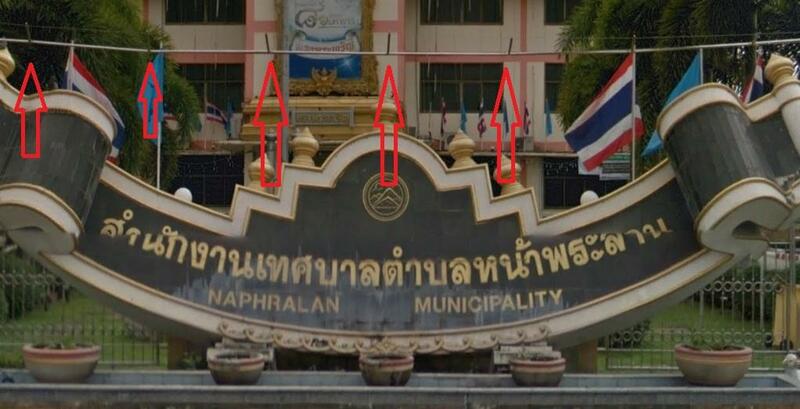 Yes, I've seen the same thing on Pahonyotin Road, Ampher Phra-Phutthabat, Saraburi Province - outside the Naphpralan Municipality building. You can see it/them in this pic. Enclose the outside space and install an air-con! Airporttwo that is a good idea, but he would not be outside any more. Also I where white cotton & its still fvcken hot Ratchaburi 41c today at 1500 oclock. Well then it wouldn't be an outdoor space . Hope you still got the discount. As @jamescollister warned you, the humidity's too high. You'll find the misting fans are sometimes demonstrated outside, where they work in part by making you and everything else damp, but these are always demonstrated inside where it's low humidity. The best thing you should do is build a nice big pool. Get hot. Jump in. Go on. You know it makes sense. 33% humidity here in Udon today. Been around 110 F (44 C) here in CM lately, I'm dehydrating like crazy, so drink 3-4 litres of water, NO alcohol and only one mug of Arabica coffee, in the morning, sugar free. 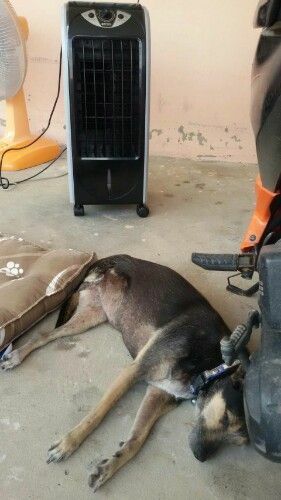 I don't use aircon, prefer a fan, as stepping out into the heat after a lovely 22 C cool room is knockout. Why did this little thread suddenly burst back into life ? Good enough ideas abounding --- especially ENT saying he doesn't use aircon because stepping outside is a knockout . It's what killed Cilla Black. When I'm in that heat and humidity I drink cans and cans of chilled Tonic Water and certainly eat better. So I'm bored but very healthy. Last edited by Wasp; 11-04-2016 at 03:56 PM.